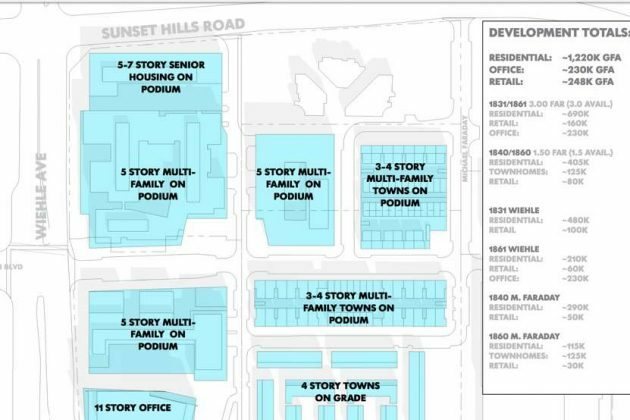 Four developers are teaming up to turn a 17.5-acre tangle of office buildings and parking lots at Wiehle Avenue and Sunset Hills Road into more than 1 million square feet of multifamily residential, as well as significant office and retail space. Representatives from JBG/1831 Wiehle LLC, Bethesda’s EYA Development and The Chevy Chase Land Company gave a first look at the development application to the Reston Planning and Zoning Committee on Monday night. 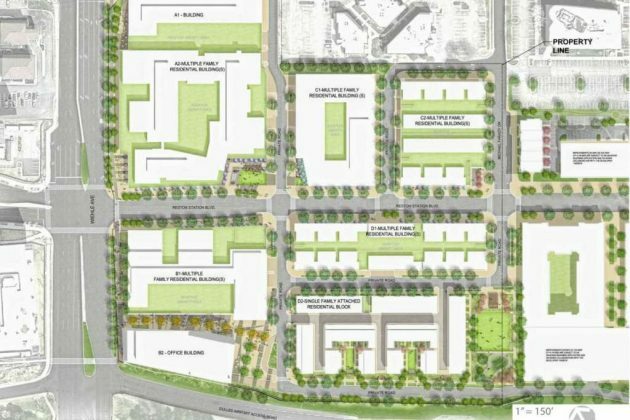 The plan involves taking a half dozen parcels of land from 1831 Wiehle Avenue — the office building across Wiehle from the Wiehle-Reston East Metro station — several blocks east to Michael Faraday Drive. In addition to 1831 Wiehle, the plan will include redevelopment of 1861 Wiehle, 1860 Michael Faraday and 1840 Michael Faraday. Bailey Edelson, JBG Vice President of Development, said the principals of the plan include high quality design; pedestrian and bike connectivity; urban parks and recreation; strategic office and mix of uses; and public art. The development will be about 78 percent residential, with the remaining retail and commercial. A multifamily building for independent senior living along Sunset Hills Road. 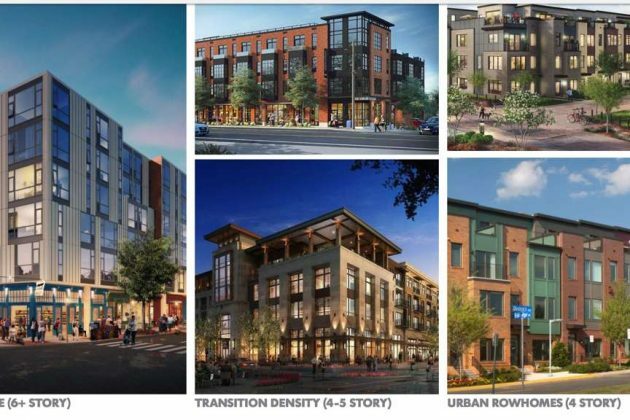 Overall, the development will have 1.2 million square feet of residential (for about 1,300-1,500 estimated residents); 230,000 square feet of office; and 250,000 square feet of retail (with a plan to amend some of the retail into housing if the market forces are not there later). The developers gave a look at the planned urban street grid, as well as pedestrian and car connectivity with the Metro station. It has not yet looked at traffic impact at that intersection, which is already one of the busiest in Reston. JBG has talked to Marymount University and Northern Virginia Community College, both of which have locations in the affected office buildings, said Edelson. Both colleges have indicated they would like to stay in Reston. The application has been accepted by Fairfax County, but has a long way to go in the process, including review by the county planning staff, the planning commission and Board of Supervisors, as well as return visits to Reston Planning and Zoning and the Reston Association Design Review Board.